The UFC bantamweight title picture was thrown into chaos today with news that TJ Dillashaw had relinquished his title after the results of a drug test. While details remain murky, the top contenders at 135 have rushed to pitch themselves as the best candidates for the vacant title. 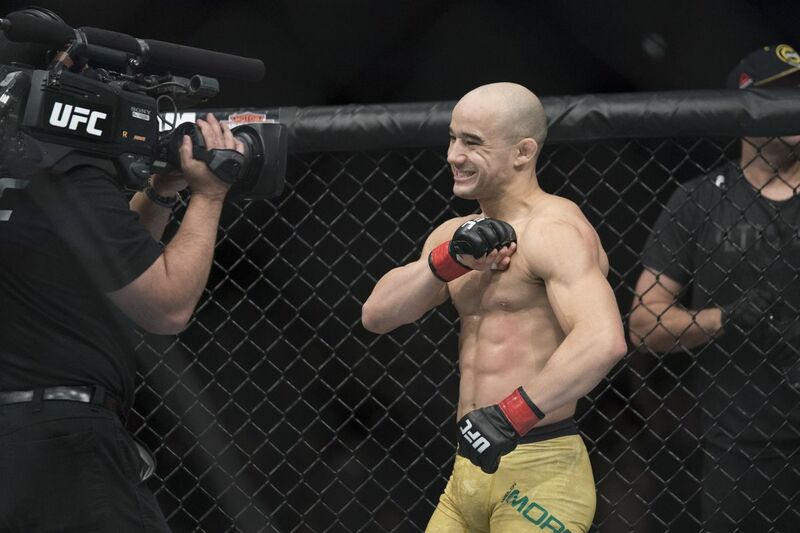 Marlon Moraes seems a lock for one side of the title fight, coming off three dramatic finish wins over top contenders Aljamain Sterling, Jimmie Rivera, and Raphael Assuncao. However, who he faces is an open question. Pedro Munhoz, 7-1 in his last eight, with a knockout win over former champion Cody Garbrandt, is a worthy choice. Aljamain Sterling has turned things around since his loss to Moraes, also putting together a three-fight winnings streak, and is 5-1 in his last six. Dominick Cruz hasn’t fought in an epoch, and Petr Yan isn’t quite there yet, so Munhoz and Sterling are first in line to face Moraes. Flyweight champion Henry Cejudo is trying to jump both those contenders in line, off the strength of his win over an emaciated TJ Dillashaw. Marlon Moraes has sent him a warning, however — ended with the perfect reference to Cejudo’s cringeworthy public pursuit of WWE star Nikki Bella. Aljamain Sterling was quick to state his case as well. For the sake of the flyweight divison, and for my personal desire not to see any more of Cejudo’s awkward schtick than I have to, let us hope the UFC opt for a 135-lb. contender and leave the flyweight champion at flyweight. 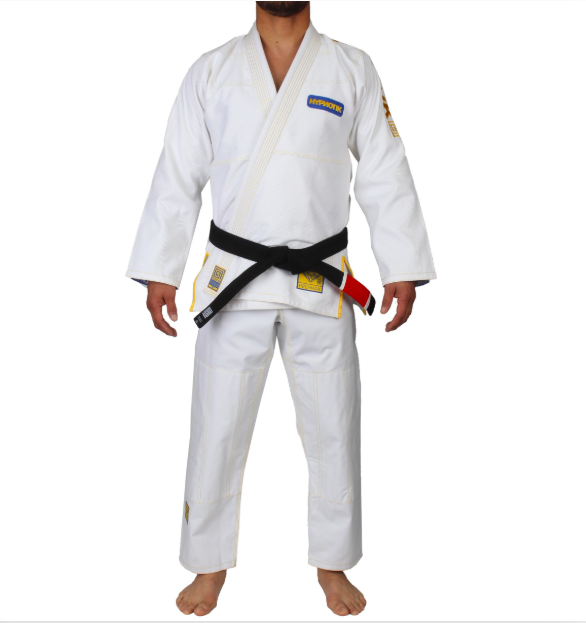 If he cares about his fellow flyweights, Henry Cejudo should defend his flyweight title against either Joe Benavidez or the winner of Formiga-Figueiredo. The UFC still haven’t committed to keeping the division. Cody Garbrandt is enjoying the tea today. He did tell us all that TJ Dillashaw taught him and his teammates to cheat. Sure feels like one of these supplements could be at fault. Francis Ngannou compliments Roy Nelson’s son on his bravery. I certainly wouldn’t spar Ngannou. Anthony Pettis appears to be preparing to kick Stephen Thompson in the legs a lot. That is my authoritative analysis from these five seconds of footage. Tony Ferguson has a holistic focus now- let us hope his mental health does improve. ESPN gets to set the price of Pay-Per-Views now? Listen to the full interview for details. I just spoke with UFC Senior VP of International and Content David Shaw, who tells me that as part of the new deal with ESPN+, it will be ESPN who set the price of each pay-per-view event and that disclosure of buyrates is at ESPN's discretion. Who does this guy think he is? Black Widow? Curtis Blaydes with a helpful questions-to-avoid-asking-a-pro-fighter list. 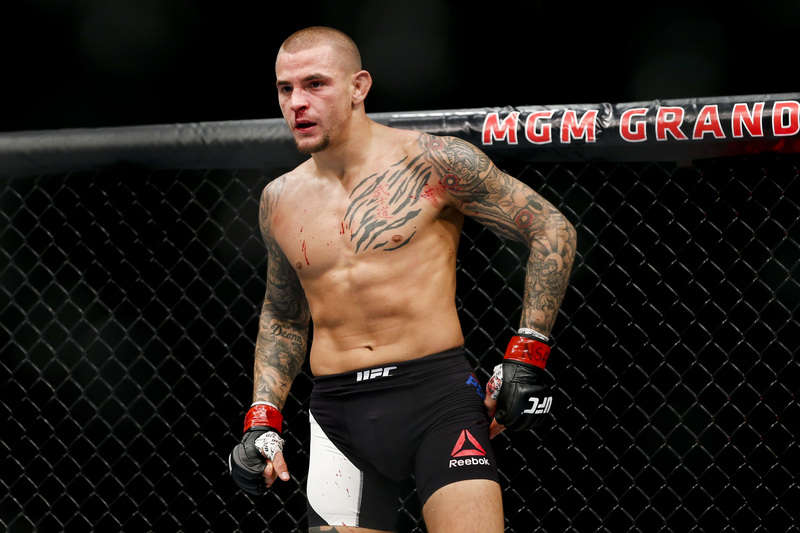 ‘I’m Going To Stop His Body From Working’ Dustin Poirier welcomes a tough title fight from Khabib Nurmagomedov, saying he will do everything in his power to make "The Eagle’s" body stop working.